One extremely important benefit of this superstar is that it noticeably reduces those pesky dark circles under the eyes. Not just those caused by late nights, this skincare marvel reduces the pigmentation even in genetically derived dark circles making it ideal for women and men prone to this. Meadowfoam Extract: To soften the skin and prevent dryness. Avena Sativa (Oat) Oil: Rich in biologically active components such as tocopherols, Vitamin E, phytosterols, phospholipids, and essential fatty acids Omega-6 and Omega-9, that offer protecting antioxidant properties, keep inflammation away to soothe, smooth and nourish skin. White Bird of Paradise/Strelitzia Flower Extract: This rarest of ingredients has scientifica brightening, illuminating effect and evens skin tone and increases skin brilliance. Pomegranate & Orange Blossom Peptides: This power couple work together to lift the skin, giving instantaneous results that lasts for 4 hours. They also contain anti-aging, anti-wrinkle and smoothing properties, whilst stimulating collagen synthesis by 102% for a firming and tightening effect. Beetroot Extract: Improves the hydration level of the upper layers of the skin; its fast acting effect lasts for at least 24 hours. 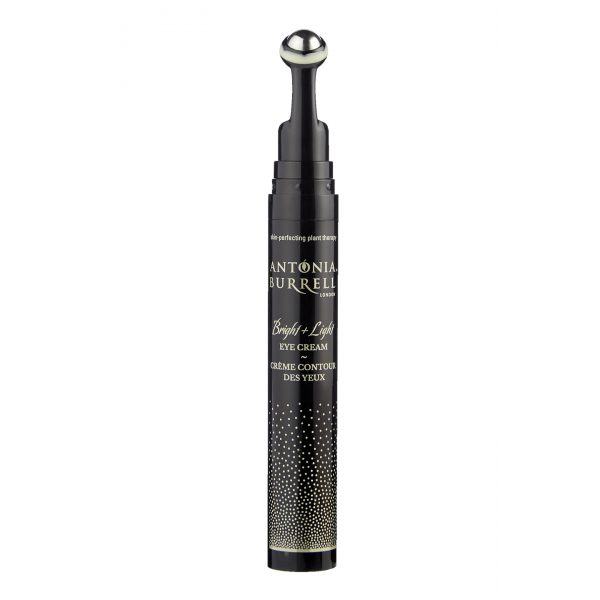 Push the flat pump applicator under the eye roller down gently, to disperse enough eye cream for one eye. Gently glide a small amount around the eye area with the uber cooling and refreshing roller ball, from the outer to the inner corners of the eyes, along the orbital bone, and up over the upper eyelid. Blend any excess product by lightly tapping with fingertips. Repeat on the other eye.